Parkmerced, a complex of 3,221 housing units, has been a flashpoint in San Francisco politics from the days when it was owned by Leona Helmsley, dubbed the Queen of Mean before she took up residence in a New York jail on tax evasion. It also was the focus of a lawsuit over its method for calculating rent increases that on occasion reached 28%. That lawsuit was settled out of court. Today it stands as one of four large apartment complexes west of the Mississippi river in a configuration that is rarely found in one complex within San Francisco’s borders. High rises, garden apartments, town houses, sweeping green lawns totaling 116 acres — it seems to be a virtual transplant from some place other than the San Francisco of postcards and cable cars. It also has been remarkably affordable. 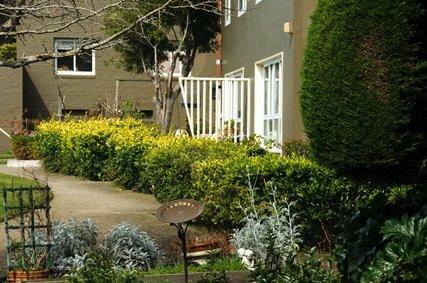 One yardstick: several hundred units are rented through the Section 8 voucher program funded by the U.S. Department of Housing and Urban Development to the San Francisco Housing Authority. It also has been affordable for students from nearby San Francisco State and for seniors. Their website displays apartments and townhouses with some up to three bedrooms that continue to draw applicants. As valuable as it is for its residents, it appears to be even more valuable for its owners. They have drafted a plan now working its way through city agencies, headed ultimately for the Board of Supervisors, that will increase density and make other changes that a vocal group of Parkmerced residents are resisting. For Park Merced’s owners, with deep pockets, it’s easy to be heard at City Hall. In just March, Park Merced paid $15,000 a month to HMS Associates for five contacts of city officials. That is, as they say, the tip of the iceberg. Motivated residents, none more than Aaron Goodman, have mobilized both community organizations and an array of impressive facts and projections to make their case that the current plan does not serve either the tenants or ultimately the city. They are not arguing, they say, against change but against the change that is now being proposed. Because the issue raises issues more complicated and nuanced than most media convey to general audiences, CitiReport offered to Mr. Goodman as one activist for Parkmerced tenants an opportunity to present an alternate view of the Parkmerced plan. It is best read here in a pdf format now placed on CitiReport for interested readers. CitiReport believes it can add another dimension to the discussion. Next post: Treasure Island: Paradise or Purgatory?